Joy Adamson moved to Kenya where she met George Adamson, senior warden for the Kenya game department. They married in 1944, and she began a life that “amounted to 360 days a year on safari.” In 1957, George brought home three lion cubs, whose mother had been shot, and Joy agreed to nurture them. She eventually released Elsa back into the wild. In 1960, at age 50, Joy wrote about the experience in her first novel, “Born Free,” which was an instant international success. She used her fame to publicize the plight of wild animals around the world, and pledged every penny earned by her book and its three sequels to wildlife preservation. Zoos responded by creating more humane conditions for animals, such as larger outdoor habitats, and a new form of travel known as “ecotourism” began. This safari takes you to key regions of the country frequented by this famous conservationist. 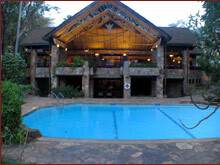 The safari starts in Nyeri at the Aberdare Country, a living reminder of the country’s colonial heritage. 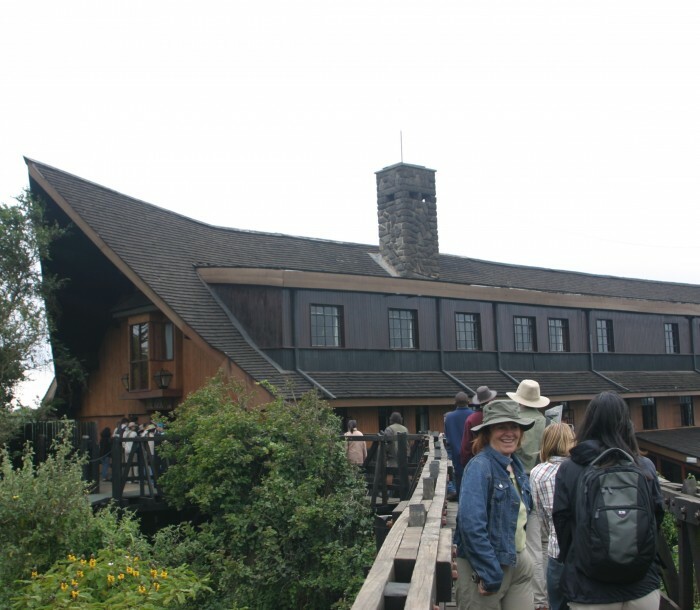 Nyeri is the gateway to the Aberdares and on a clear day you will see the majestic face of Mt. Kenya in the distance. Nyeri boasts a lush, thick, dense green forest with a generous population of buffalos, rhinos, elephants, lions and leopards. Then it is on to Samburu. Samburu National Reserve is home to the dignified Samburu people, nomads and relatives of the Maasai. 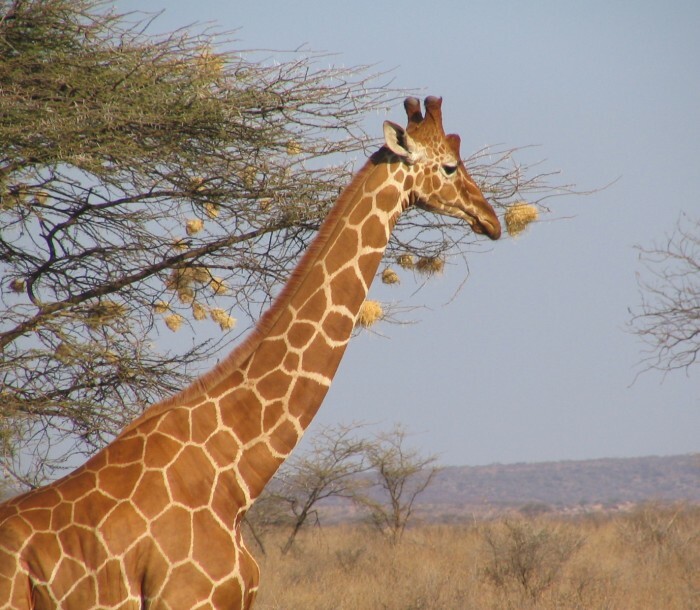 The Samburu Reserve is home to wildlife species rarely found elsewhere, including Grevy ‘s zebra, gerenuk gazelle, oryx, reticulated giraffe and the Somali ostrich. Some of these species are so well adapted to the dry area that they can go for long periods of time without water, surviving only on moisture obtained through their food. Elephant, buffalo, lion, leopard, cheetah and the more common savannah game are also abundant here. The next stop is gorgeous Lake Nakuru, an ornithological paradise. Lake Nakuru is a very shallow strongly alkaline lake 62 km2 in extent. It is set in a picturesque landscape of surrounding woodland and grassland next to Nakuru town. 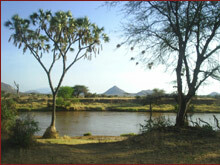 The landscape includes areas of marsh and grasslands alternating with rocky cliffs and outcrops, stretches of acacia woodland and rocky hillsides covered with a Euphorbia forest on the eastern perimeter. You can expect to see Flamingo (Greater and Lesser) and other water birds including a variety of terrestrial birds numbering about 450 species in total. 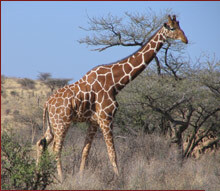 The park boasts 56 different species of mammals including white rhinos and the endangered Rothschilds Giraffe. 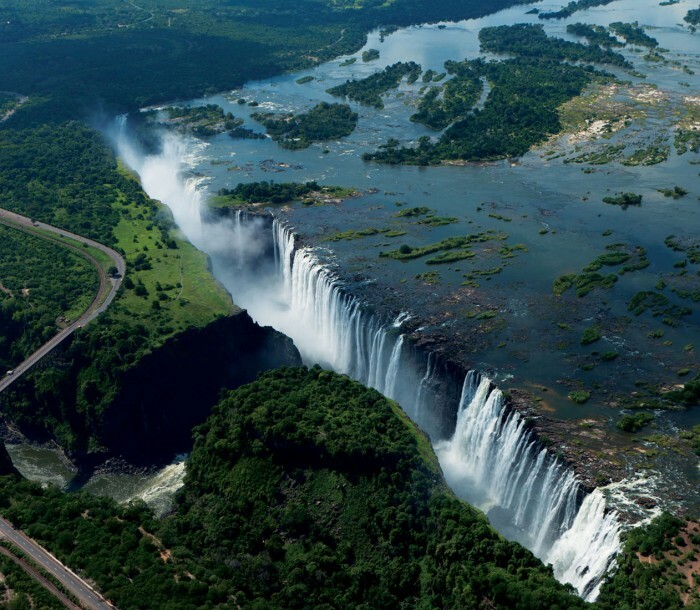 Other attractions include the Makalia waterfall and unique vegetation: About 550 different plant species including the unique and biggest euphorbia forest in Africa flourish in this park. Elsamere is a haven for lovers of nature, set in Acacia forest on the banks of Lake Naivasha, in Kenya’s Rift Valley. It is the former home of the late Joy Adamson who, together with her husband George, became world famous for their pioneering conservation work and relationship with the lioness Elsa, as told in her best selling book and subsequent film, BORN FREE. Visitors can enjoy a museum containing a small collection of Joy’s paintings and artifacts. Memorabilia from the film Born Free and a range of photos documenting Joy and George’s work with wildlife are also on display. Guests may hire boats or arrange a guided tour to view birds and other wildlife on the nearby Crescent Island. The final stop on this safari is the Maasai Mara Game Reserve. This spectacular expanse of open grassland covers 320 sq km in the south-west corner of Kenya. The highlight of the Mara is the great migration of wildebeest. Millions of these animals move together on a trek north from the Serengeti in July and August in search of lush grass. They return south in October before the rainy season. Other animals are commonly spotted in the park including the big cats: lions, cheetahs, and leopards. Lions are often found in large prides and it’s not uncommon to see them hunting. Elephant, buffalo, zebra, and hippo roam in large herds while the topi, impala, and Coke’s hartebeest are also abundant. The Maasai Mara region is the traditional land of the Maasai people. The Maasai are nomads and pastoralists. They are fiercely proud of their traditions and are recognized as the language group that has best observed their ancestral beliefs. They are famed for their proud warriors, the Morans, their beautiful jewelry and their prowess as herdsmen and hunters. 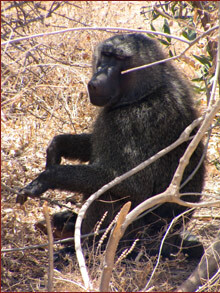 A visit to a traditional visit can easily be arranged as part of this safari.